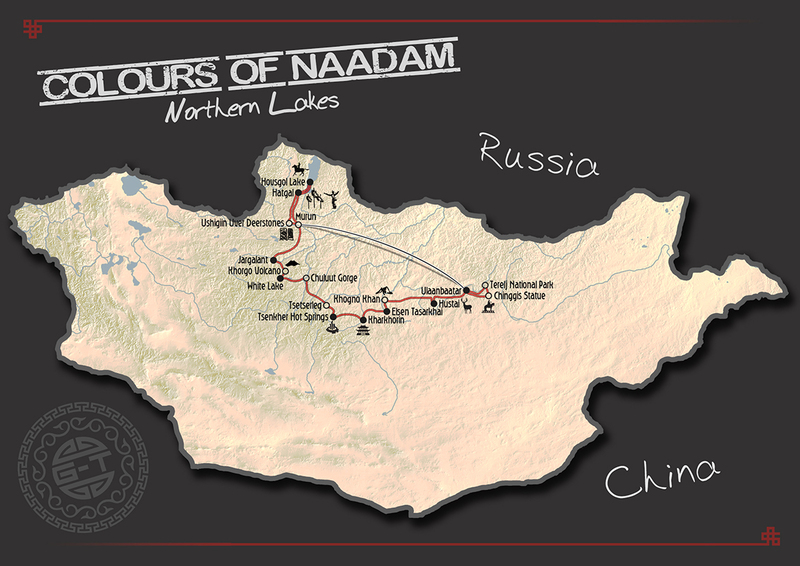 Destinations Travel Show Special – 10% off on our Colours of Naadam trips. 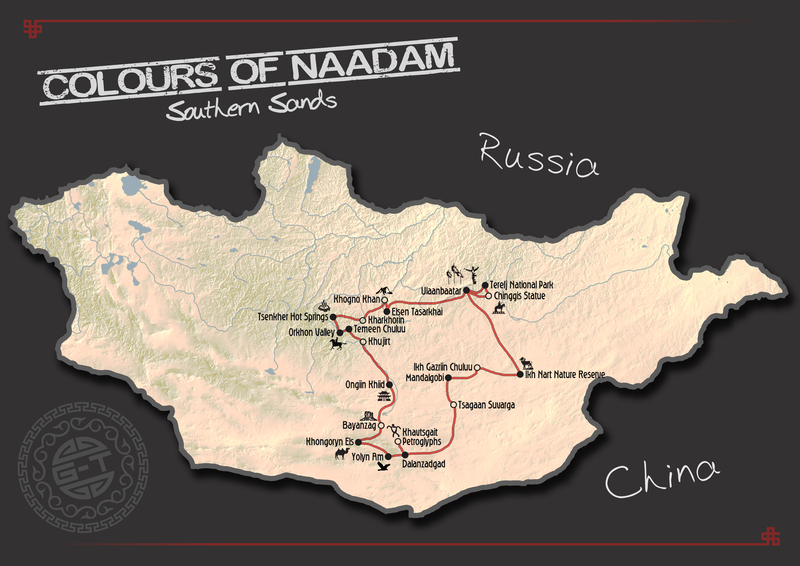 Choose your trip of a lifetime from two of our ever-popular Colours of Naadam expeditions – Southern Sands & Northern Lakes. 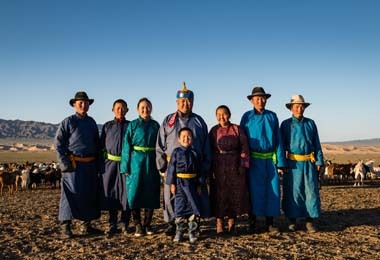 The first trip explores the vast desert wilderness of the Gobi to include some little-visited but stunning areas such as Ikh Nart, combined with the must-see highlights such as Bayanzag and Khongoryn Els, including local nomadic homestays, eco-lodges and ger camps. 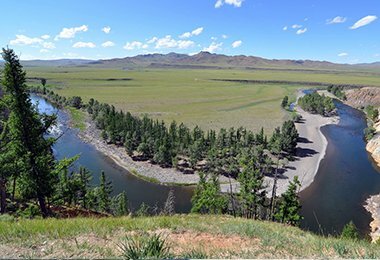 The second trip heads west to central Mongolia and up North to the forested hills and lakes of Terkhiin Tsagaan Nuur & Khovsgol, with forays to the lesser-visited parts of the Orkhon Valley, and the Delger River Basin. 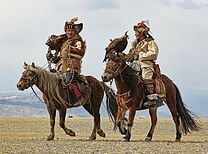 On both trips you can experience Mongolia’s famous annual cultural festival – Naadam – in provincial villages where you can enjoy the action in a smaller, more intimate setting. We are offering a 10% special discount for bookings on both tours for the Destinations Newsletter subscribers until end of February! Click here to request full itinerary and to book your place, or email info@goyotravel.com for more information. 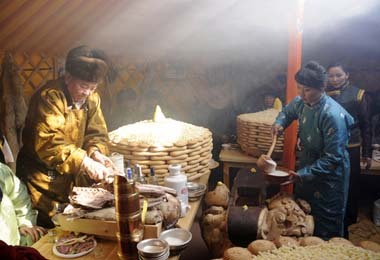 A winter wonderland tour through the varied frosted landscapes of Mongolia studded with a triple crown of festivals – the Ice Festival on the frozen surface of lake Khovsgol in the North; the Eagle Festival in the steppe land outside Ulaanbaatar giving an insight into Kazakh culture; and the Camel Festival in the South Gobi celebrating the Best of Bactrian – racing, polo and grooming contests against the stunning backdrop of snow-dusted desert scenery under shimmering blue skies. Chilly, maybe, but who cares when adventures are this good. 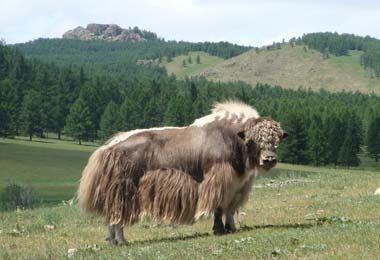 After the deep winter and the slow April thaw, Mongolia comes alive in May with the sights, smells and sounds of spring on show throughout the countryside. 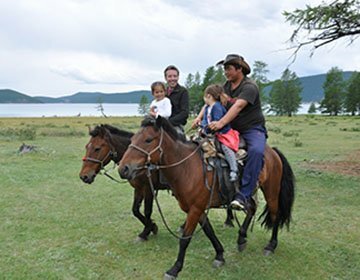 Explore the central steppe and central rolling valleys of the nomadic heartland, with walks and rides through pristine nature, and including a homestay with a local family who will be celebrating the arrival of the season’s new-born animals. Stay at some of our favourite ger camps, just opening up for the summer months – but at this time they’ll be free from the crowds, so you can enjoy the tranquility and peace of the countryside as nature intended. 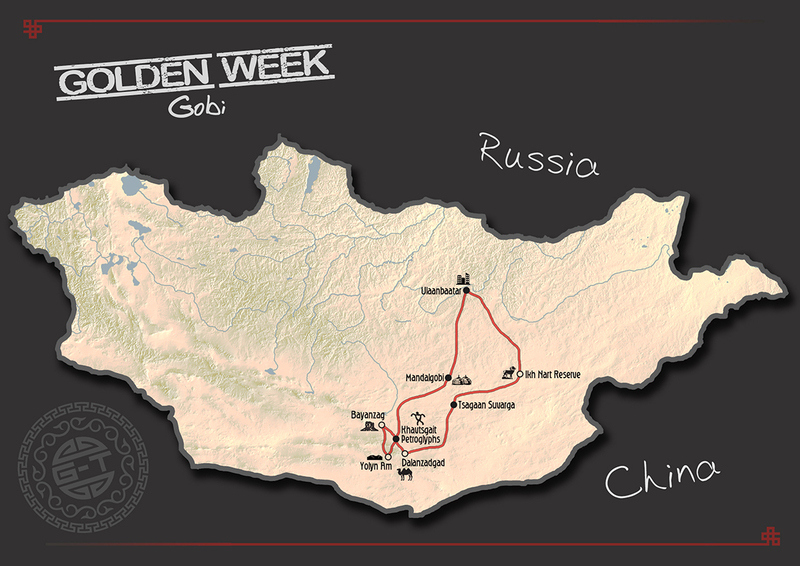 An overland journey through the expansive Gobi Desert, and the green pastures of Arkhangai. 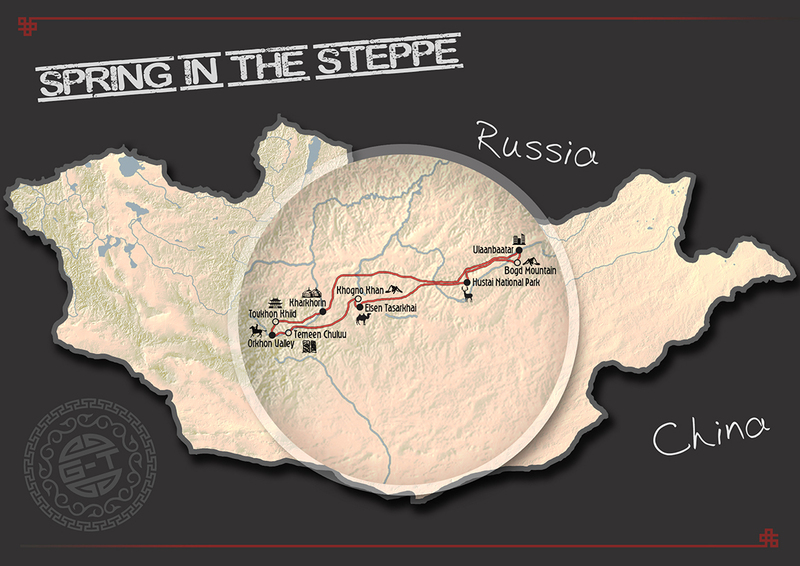 This voyage of discovery explores the nomadic traditions that form the backbone of Mongolian culture. 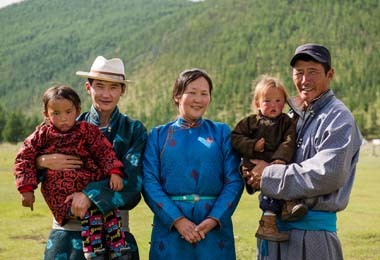 Learn how to put up a ger, have a countryside cooking lesson, enjoy a homestay, visit a tree-planting project, and explore some fantastic, varied landscapes and historical sites. 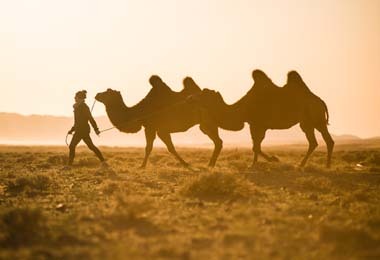 Classic highlights combine with special touches and insights into nomadic life. A true cultural odyssey. 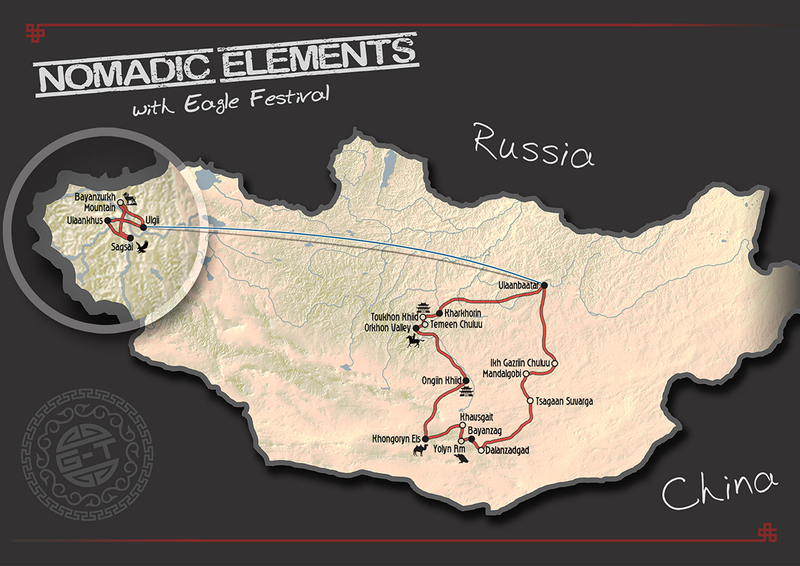 A condensed travel experience distilling the essence of Mongolia into a convenient 9-day weekend-to-weekend slot. This is a carefully planned itinerary designed to cut down on travel distances without compromising on content – giving you maximum experience, with minimum effort. 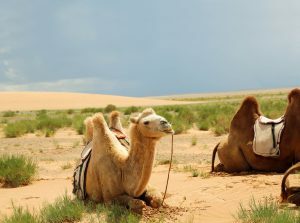 Fly down to the Gobi for an overland loop of desert highlights, see the wildlife in Khustai National Park before venturing to the lesser-visited wilderness areas of Terelj. 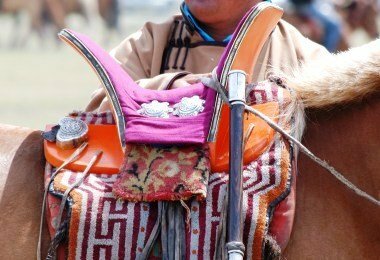 The flamboyant festivities of Naadam form the centrepiece to this summer voyage through rural Mongolia – where the atmosphere of celebration is matched by the hue of the countryside filled with the colours and scents of summer. 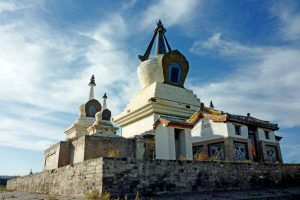 Begin with a trip to Terelj and the Chinggis Statue, before journeying to the wonderful wilderness of the Gobi Desert and the nature reserve of Ikh Nart. 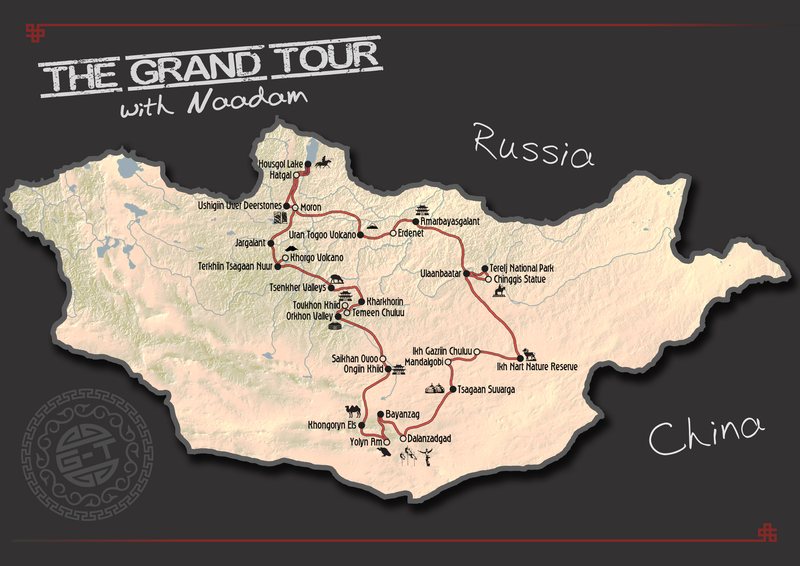 Continue south and enjoy Naadam at the provincial capital of Dalanzadgad, then explore the dunes and canyons of the majestic Gobi Desert. 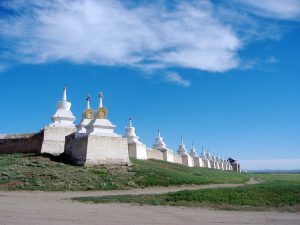 Head north to the valleys of Arkhangai, the site of Genghis Khan’s ancient capital at Kharkhorin, Erdene Zuu Monastery and Khogno Khaan Mountain. 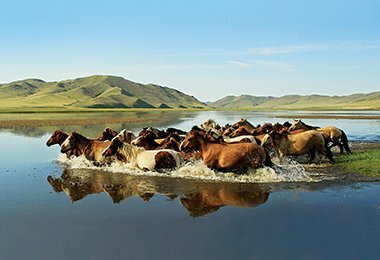 Experience the magic of Mongolia during the vibrant festival season as you journey through the varied landscapes of the heartland and up to the hills, forests and lakes of the north on this spectacular summer journey. 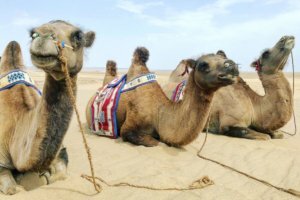 Kicking off with an introduction to the country’s bustling capital, and the nearby national Parks of Terelj and Khustai, you’ll stay at the northern edge of the Gobi desert at a fantastic eco-lodge, hike to hilltop temples, ride camels and horses, and enjoy nomadic hospitality with local families. 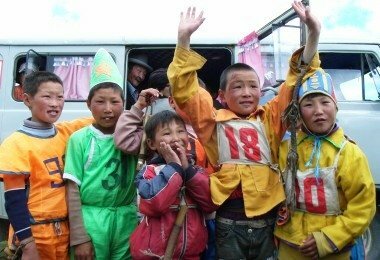 Then you’ll pass through verdant valleys with hot springs, to the lakes of Terkhiin Tsagaan and Khovsgol where the journey culminates with the festivities of a colourful provincial Naadam Festival. A Mongolia tour of epic proportions – extensive, well-paced and varied. 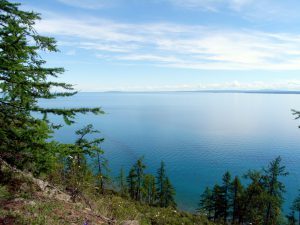 From the the southern desert plains of the Gobi to the rugged northern shores of Lake Khovsgol, and everything in between. 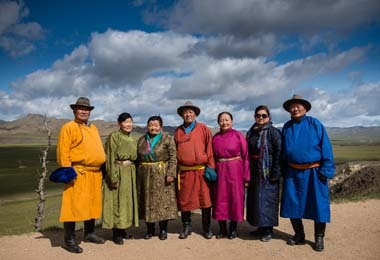 A fascinating overland adventure through Mongolia’s diverse landscapes, with authentic local nomadic experiences and characterful varied camp accommodation. The first trip showcases the festivities of a rural Naadam Festival in the Gobi Desert and the second includes the unique spectacle of the Horse Festival in central Mongolia. 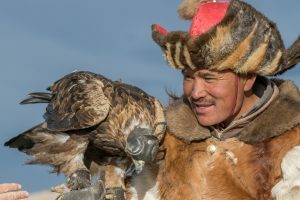 An amazing journey through the expansive Gobi Desert and the green pastures of Arkhangai culminates in the unique spectacle of the eagle festival in Western Mongolia, where you will stay in a private camp by the Hovd River near a family of eagle hunters. 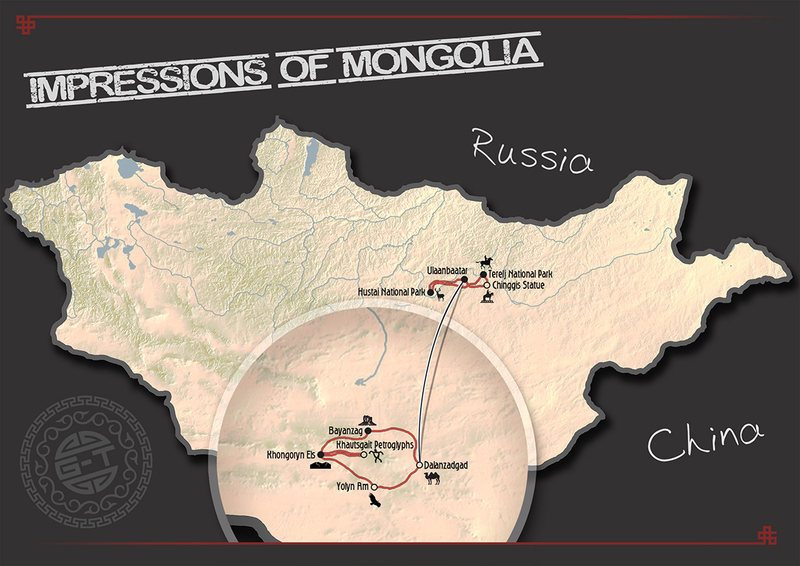 This voyage of discovery explores the nomadic traditions that form the backbone of Mongolian culture. 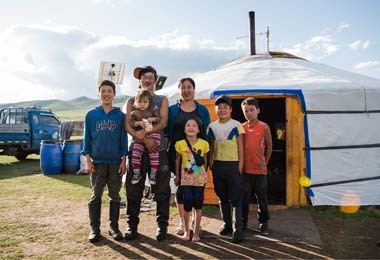 Learn how to put up a ger, have a countryside cooking lesson, enjoy a homestay, visit a tree-planting project and explore the remote Altai region where Kazakhs still practice eagle hunting. 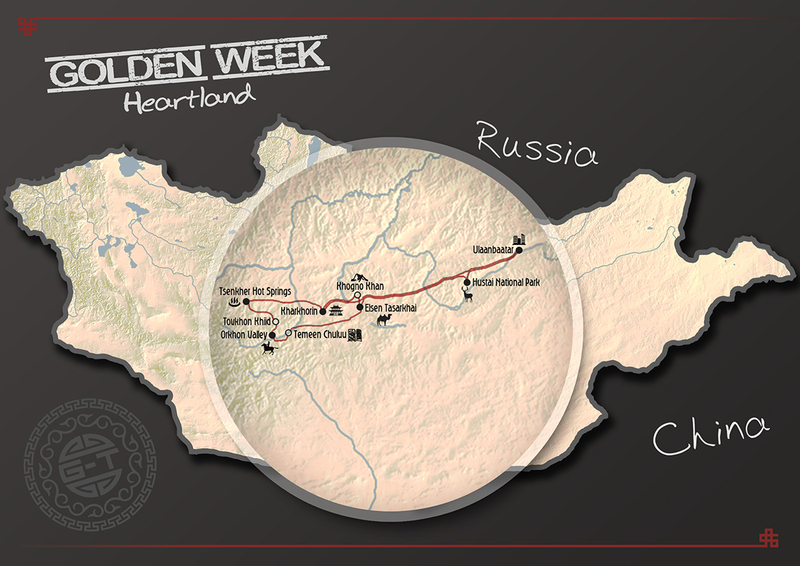 The golden tints of autumn form the visual backdrop to this enchanting journey combining activities in the forested hills of Terelj National Park, an exploration of desert landscapes in the Gobi, and the cultural highlights of central Mongolia. 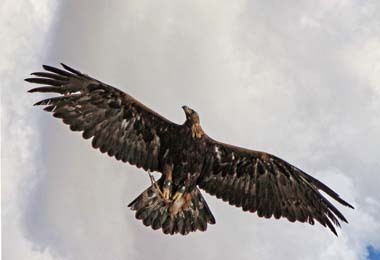 The journey culminates in the unique spectacle of the eagle festival in Western Mongolia, where you will stay in a private camp by the Hovd River near a family of eagle hunters. 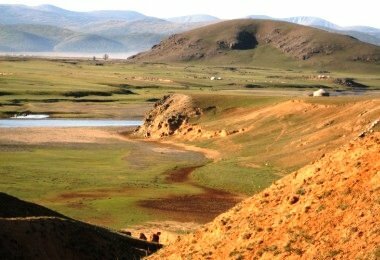 An Autumn journey into Central Mongolia, the nomadic heartland of the country. It is an area of diverse landscapes and will be beautiful this time of the year. 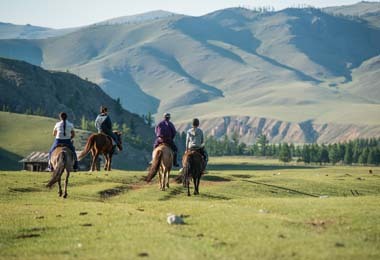 Visit the takhi horses at Hustai National Park, Khogno Khaan Mountain, the dunes at Elsen Tasarkhai before heading to Orkhon Valley and the hilltop monastery of Tuvkhun Khiid. 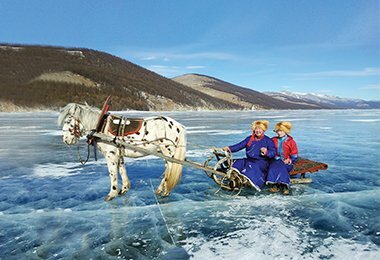 Take a dip in the Hot Springs at Tsenkher Valleys and visit the site of Chinggis Khan’s ancient capital at Kharkhorin, before returning to UB. Staying in a mixture of comfortable ger accommodation at some of our favourite camps and nomadic homestays. 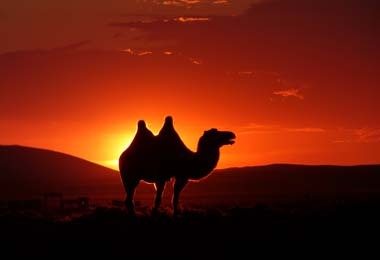 An autumn journey to the vast and varied landscape of the Gobi Desert. Visiting the rock formations at Ikh Gazriin Chuluu and Tsagaan Suvarga, the dunes at Moltsog Els and the lush green gorge at Yolyn Am. See the country in its autumnal colours whist staying in some of our favorite comfortable ger camps.